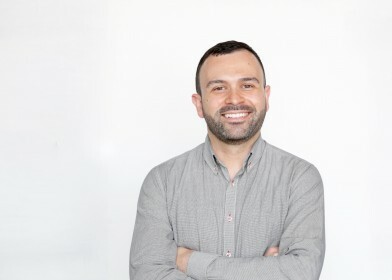 In this guest post, Felippe Diaz (pictured below), group account director at GPJ Australia, explores the rise of artificial intelligence (AI) and what it means for the experiential/events industry. Just this week, Elon Musk made a firm statement about his concerns around artificial intelligence. AI is all around us. You may not see it yet, but it is here. IBM expects that its cognitive computing platform Watson will reach over one billion people by the end of this year. AI is being touted as bigger than all previous human tech revolutions added together – including electricity, the industrial revolution, internet and mobile – and an inescapable facet of each revolution is the displacement of jobs. McKinsey says the likeliness of your job being replaced by robots is linked to the predictability of the work. So what does that mean for the experiential/events industry? Should we all be looking for a new line of work? As anyone who works in experiential will tell you, it is about as unpredictable as it gets! So does that mean we are all irreplaceable? We are in a time not too dissimilar to when webcasts first gained popularity in the noughties. At the time, there was a view that this was the future of the industry and face-to-face events were doomed. In 2017, we know that webcasts have a role to play in the support of the live forum – not as a replacement to it. In much the same way, AI will not kill live events – it will make them better. We are already seeing it happen. Today, chat bots and concierge apps are being used to help delegates get the most out of their event experience through things like wayfinding, session suggestions based on personality insights and social sentiment, and using facial recognition to improve their registration experience. Some are even using physical robots at events to help drive a deeper level of engagement. There is no doubt that AI will shake up our industry, as it will many others, but we should view it in the way it was intended to be used, as augmented intelligence – technology aimed at helping us in our jobs, not replacing us.